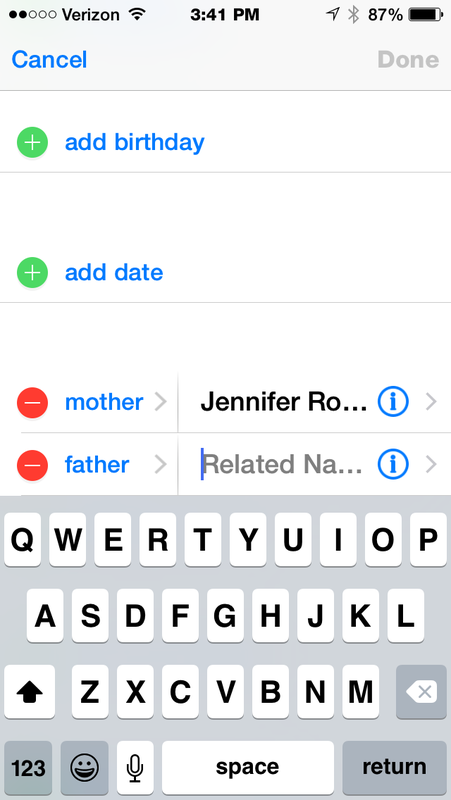 Did you know you can add contact relationships to your iPhone contacts? It’s a pretty cool feature! First you need to teach your Siri who you are. Go to Settings, General, Siri Settings, My Info. When you click on the arrow it will take you to your address book and you search for yourself (or add yourself) in there. Select yourself and then exit this setting. 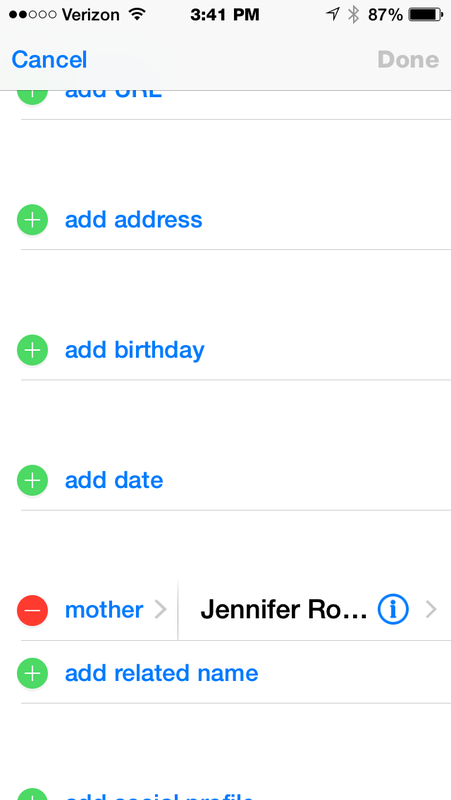 Next, you’ll want to go to your own contact information and you edit it to add relationships. When you click on add related name it will bring up father or spouse (depends on I’m not sure what!). Select the arrow and it will take you to your address book where you can now search for your spouse or father and add them. You can also do this with the CEO of a company and add their assistant to their relationship. You can also do this through Siri, by saying Donald ********* is my Father. Once you do that you can tell Siri, “Call CEO’s assistant”! On a side note, this made me think of something Star Wars related. Tell Siri, “Luke, I am your father” for a giggle! Once you’ve added the relationship, select Done in the top right hand corner. Exit out of this and then try out calling someone through Siri! Most people know that you can ask Siri questions and she will give you answers and sometimes funny ones at that! Go ahead, ask her these questions for a hoot! If you hold down the home button to make Siri start listening, you will get a faster response if you hold down the button the whole time you are talking, then let go of it when you are done. 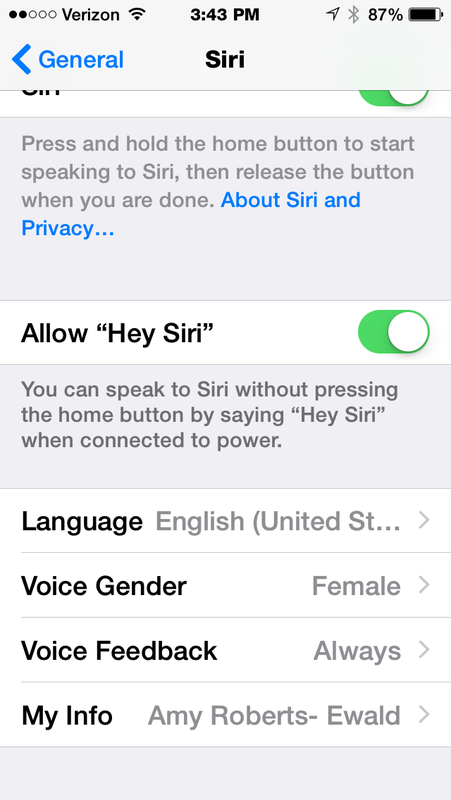 If you want to use Siri without pressing the home button while it’s plugged into your charger in your car, go into General>Siri>and turn on Allow “Hey Siri” then all you have to do is say “Hey Siri” and Siri will open for you. You can tell Siri, “Turn on Do Not Disturb” and she will turn your phone DND on. An awesome feature if you are “Navigationally challenged” you can tell Siri, “Take Me Home” She may ask you to confirm your address, but then it launches the GPS/Map app and gives you directions home whether walking or driving. She will not however play the Eddie Money song for you! If you are using the GPS, and you want to know how long it will take you to get there, you can say “ETA” and she will tell you about how long it will take to get there. Have a tip calculator app on your phone? Don’t need it! Ask Siri “What’s the tip on <whatever your bill is for> and she will suggest 15%, 18% and 20% tip amounts! Want to play music from your phone? In the car, if you have “Hey Siri” turned on say “Hey Siri, play <insert band here>. If that group is on your phone she will play whatever you have stored on your phone. If it isn’t she will create a radio station via iTunes and play that band and anything similar to that band! Stuck in traffic, bored and staring at road signs that say “Troy Roads Rock.com”? Ask Siri to “Post to Facebook” or “Post to Twitter” then she will ask you what you want to say <insert what you want to say here…like Troy Roads do NOT Rock!> She will update your status. Want to send a text telling someone you are running late? Ask Siri “Send a text message” She will ask to who “<fill in name here>” Then she will ask you what you want to say. Say it and then say “Send” Off it goes! 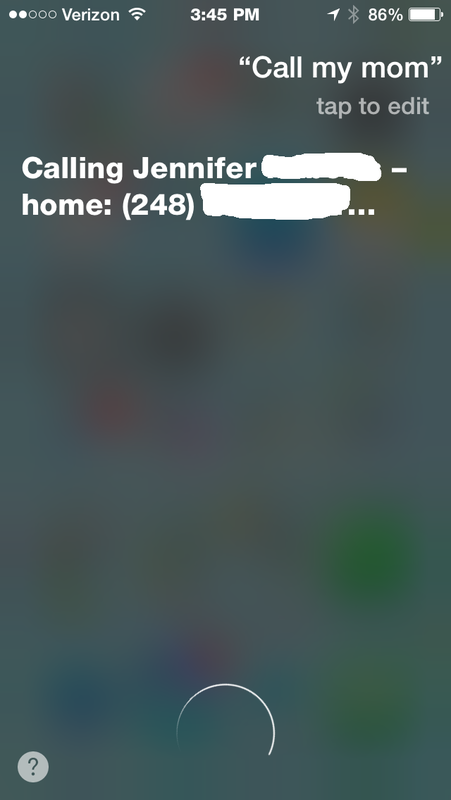 Forgot when someone’s birthday is, ask Siri “When is < so and so’s > birthday, and she will tell you. Next week I plan on bringing tips on using Contact Relationships on your iPhone, pretty cool stuff!! !